Back in 2004, when my editor at The News Tribune in Tacoma, Wash., suggested going weekly with my children's book review column, my first reaction was alarm. I've got two other jobs and a weekly column is, well, a weekly responsibility. But I grew to love that format. It allowed me to discover a great book and write about it – not because Halloween or Christmas was coming – but just because it was a great book that I wanted to tell people about it. Also, few mainstream publications were writing about kids' books as often. The New York Times was about the only one. I felt proud of my newspaper for giving children's literature that space. My paper, like most, has been undergoing a series of economic cutbacks over the past couple of years. Sadly, the latest is that our feature sections have been cut from seven, to three days a week. My weekly column is one casualty. I'll now get a longer quarterly children's book review feature on the front of a Sunday Sound Life section. That will be great for what it is, but I know I have some readers who look for the column to be in its regular spot every week. 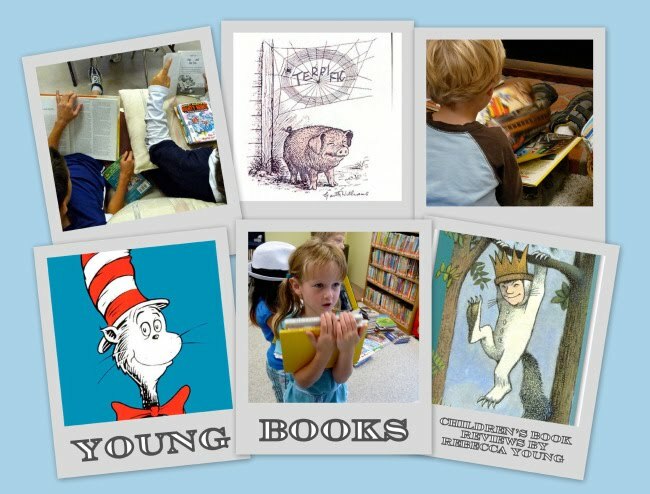 This blog is an attempt to keep letting those readers – YOU – know about great books for young people just as often as I did before. My plan is to write at least once a week and to provide links to interesting children's book news. At some point I want to provide a data base of earlier reviews indexed by subject matter. You can help me out, too. If you find this blog and like it, send links to others. I'll make a Facebook fan page; you can join that and invite others, too.